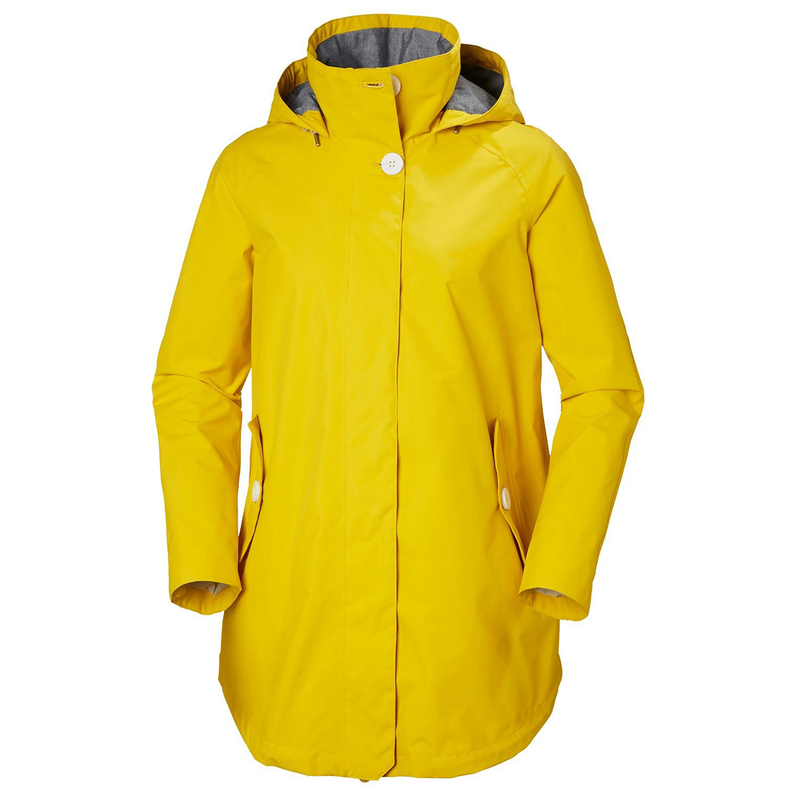 A beautifully designed women's raincoat with a wide silhouette and curved bottom hem. The Sendai Rain Coat is designed in line with the five elements in Japanese philosophy. With its simplistic, pure, and straight forward design, we fused the five elements into every line, detail and can be clearly seen in its unique shape. The feminine fit, nicely draping fabric, minimalistic trims and detailing adds to this summer's statement coat.